Emory President-elect Claire E. Sterk has announced the appointment of Stuart Zola, one of the nation’s leading neuroscientists, as interim provost and executive vice president for academic affairs of Emory University. With a long history of service at Emory, Zola assumed his new role Aug. 15. Zola currently serves as deputy associate chief of staff for research at the Atlanta Veterans Affairs Medical Center, enhancing relationships between the VA and Emory and other universities in Georgia. 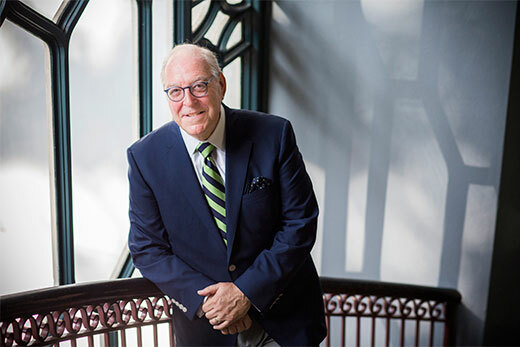 As director emeritus of Yerkes National Primate Research Center and professor emeritus of psychiatry and behavioral science in the Emory School of Medicine, he has extensive experience at Emory, including co-directing the Emory Alzheimer’s Disease Research Center. Zola was elected as a fellow of the American Association for the Advancement of Sciences in 2009. During his emeritus career at Emory, he has continued to mentor graduate students and post-docs in psychiatry. He also co-founded Neurotrack, a digital technology company that has developed a quick, web-based test that uses eye-tracking technology to diagnose mild cognitive impairment and is currently in research trials around the nation. Sterk points to Zola’s strong working relationships with Emory’s leadership and faculty, an intricate knowledge of the complexities of a national research university, and first-hand exposure to the important field of technology transfer as experiences that will guide him in his new position. In previous roles, Zola has collaborated with many of Emory’s colleges and schools. He has worked on research studies on aging and HIV with faculty in the Rollins School of Public Health, lectured on neuroscience in Emory College of Arts and Sciences, worked with graduate student teams from the Goizueta Business School to solve challenges at the VA, consulted with the School of Law on a developing program in health and law, and championed the importance of nursing and particularly the Nell Hodgson Woodruff School of Nursing in health care. Zola sees himself as a bridge between the health sciences and the wide range of other disciplines at Emory. “I admire the leadership style of President-elect Sterk, and I believe she will enhance an environment of discovery and innovation at Emory,” says Zola, in accepting the appointment. The search for Emory’s next provost will launch in September. Sterk expects to fill the position in the 2017-2018 academic year.